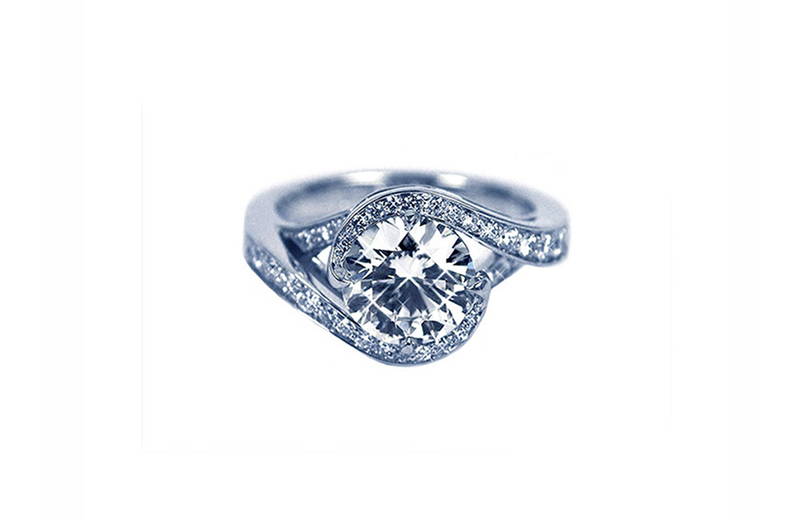 A gorgeous round brilliant diamond is set between two arms that swirl around to an east and west prong. The design is sleek and the clean lines flow into an organic form that is both soft and sophisticated. Three floating princess shape diamonds are floating in the gallery.